Patients’ safety is the top priority in any clinical trial. The data safety and monitoring services (DSMC) are there to ensure that the clinical studies are safe and run in accordance with regulations. The medical monitors observe the study in critical detail to ensure patient safety is assured. While medical monitors are here to keep an eye on all processes and ensure patient safety primarily, even they could use some help in sifting through data and identifying patterns not immediately visible to the human eye. An ML-powered solution can perform a deep dive into any type of data system, harmonize it to adhere to Industry standards – Study Data Tabulation Model (SDTM) – and then extract insights quickly and accurately. These insights possibly may have been otherwise unidentifiable. Even if a group of analysts had been able to draw the same conclusions, they would not have been able to do so as quickly. A data analytics solution that has ML capabilities can bring data from disparate sources, harmonize it, and place it in a data lake where is it prepped and ready for analytics. ML-enabled data analytics makes it easier to monitor patient safety and assess the efficacy of the drug being tested. An ML-enabled solution like the Drug Efficacy and Patient Safety capability of Saama’s Life Science Analytics Cloud (LSAC) has the potential to be instrumental in ensuring all the processes associated with patient safety and drug efficacy in clinical trials are always in alignment. The solution enables continuous data standardization and supports indication specific pre-trained models to identify riskier patients. With near real-time access to data, the insights drawn from it are more accurate and hence actionable. AI technologies can truly take patient safety to the next level and make the entire clinical studies process much safer, allowing more people to participate. They can also minimize risks, reducing liability and expenses by avoiding risks, and making patient recruitment more efficient. Srini Anandakumar, Senior Director of Clinical Analytics Innovation at Saama, leads clinical analytics innovation at Saama. He is responsible for leading the solution development for next generation clinical repositories based on Big Data and AI. 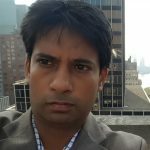 He has more than a decade experience of building clinical analytics solution for enabling both analytics and submission pathways. His experience includes product management and consulting in the clinical R&D space. His current passion is to explore the possibility of AI applications to bring in efficiencies in clinical development.